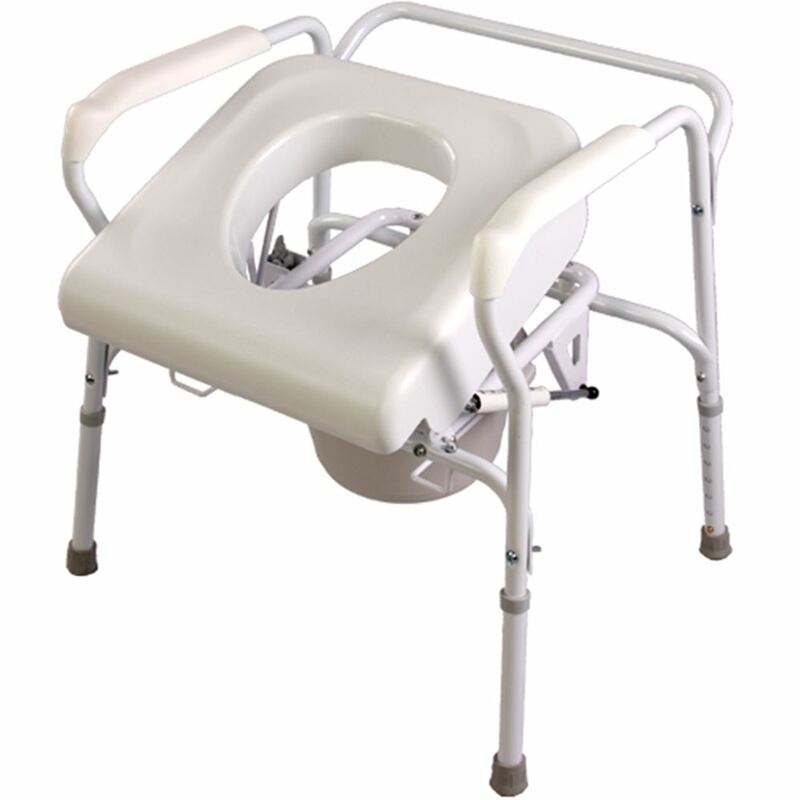 Uplift Commode Assists™ is a self-powered, lifting chair that helps users seat and raise themselves with safe, controlled support. Lifts up to 70% of user's weight. Automatically locks into position when fully depressed. Use alone, by bedside, or over toilet. Lifts only as needed, allowing users to maintain muscular strength. Step 1: Ease into a seated position, allowing seat to automatically lock in place. Step 2: Using both hands for support, press down on seat release lever and shift forward. 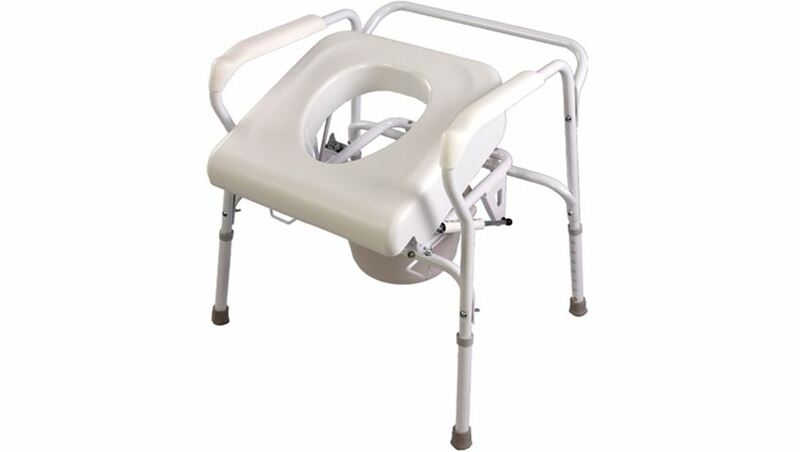 Step 3: Lifting mechanism activates automatically to provide a gentle and stable lift from commode.